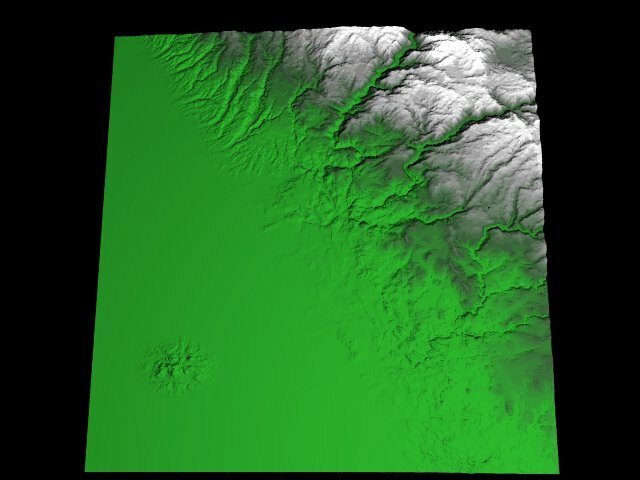 Bapper and I have been messing with USGS Digital Elevation Model (DEM) data for a bit trying to get good pictures out of them. Let this be an example of how far free software can take you. 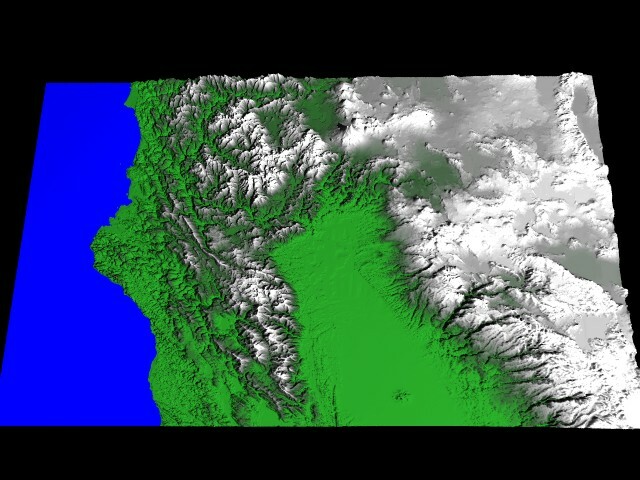 A mosaic of images covering northern California (about 1.4M) -- These are shown at 1/3 actual size (that is, 2/3 of the data from the DEM is missing in these images!) 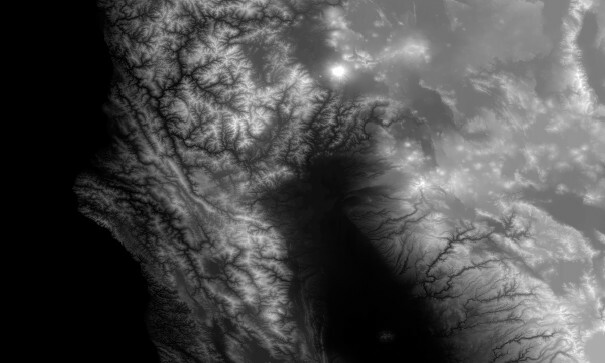 If these were shown at full resolution, they would form an image 6000x3600 pixels in size!